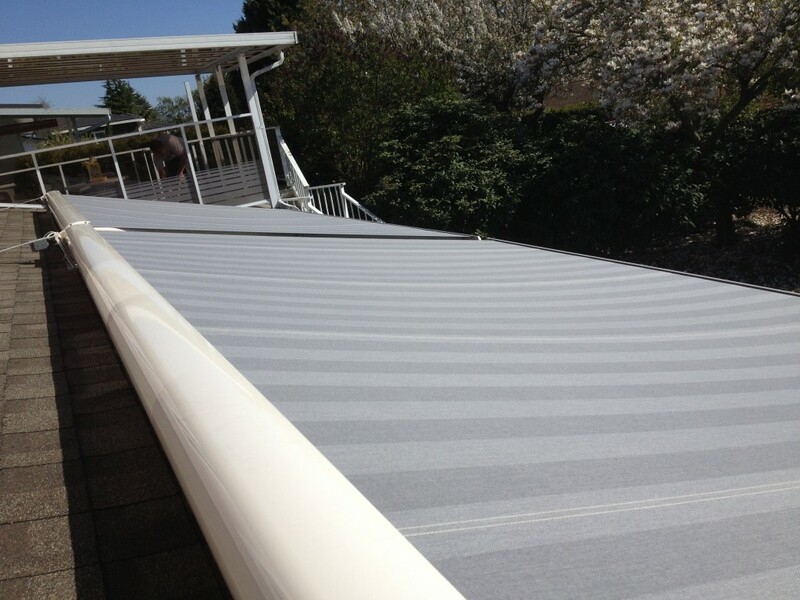 Learn more about the products we carry, our installation process, and past completed projects by following our Mr. Cover All blog. Don’t miss a thing! Check back regularly for our upcoming sales. 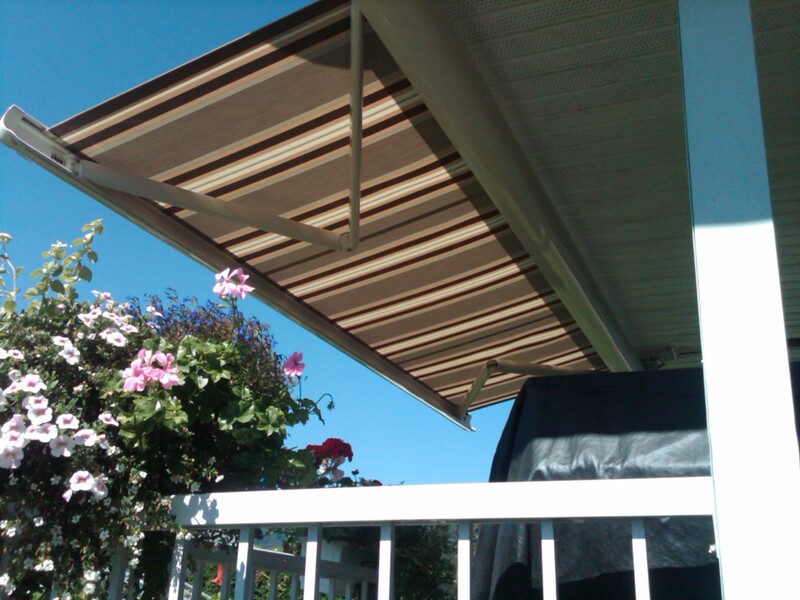 With this customer the awning needed to compliment the beautiful manicured back-yard. 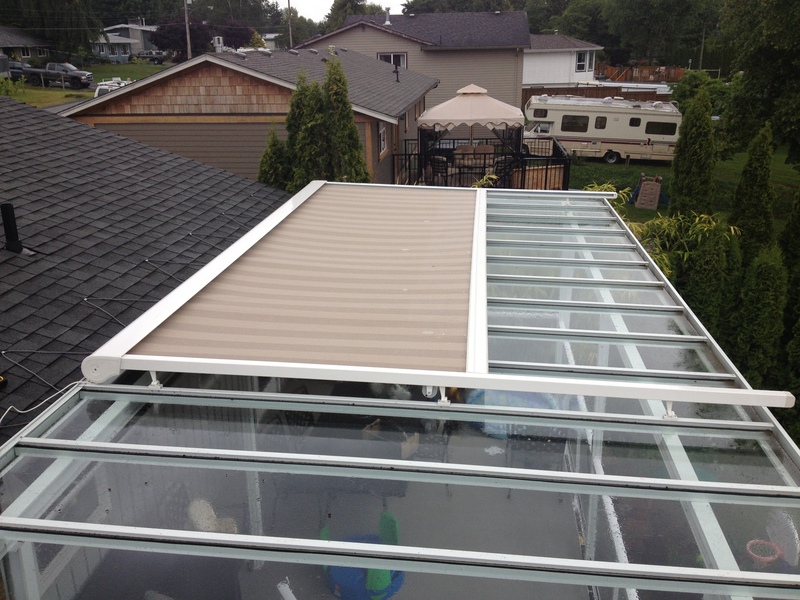 The custom built deck and the retractable awning match perfectly. 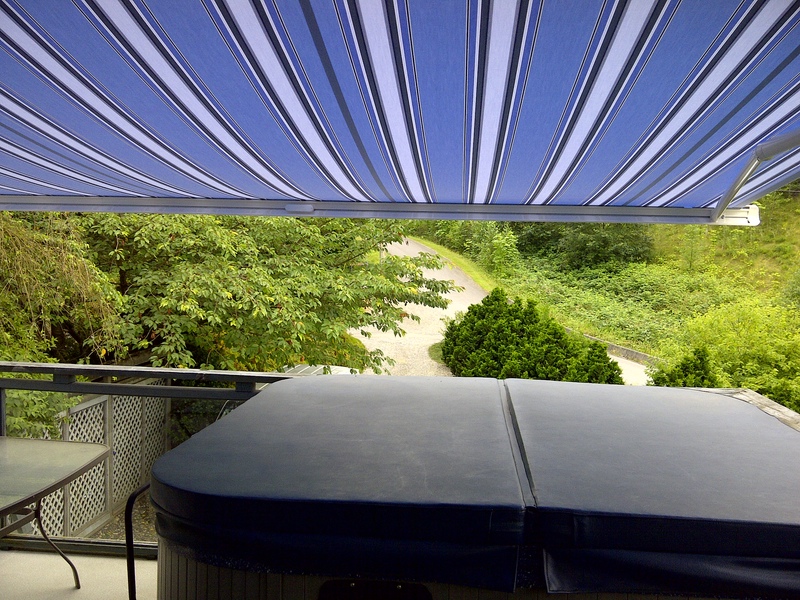 The custom 12ft awning provides perfect shelter from the heat during the day and keeps the warmth in during the evenings when the heaters are on. 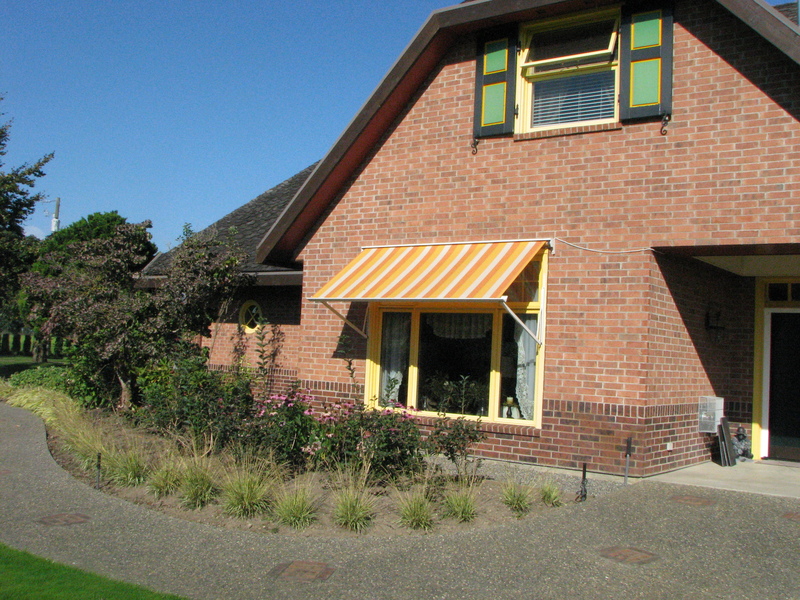 On this house we installed both a retractable awning in a sunny yellow striped design and an exterior roll screen. 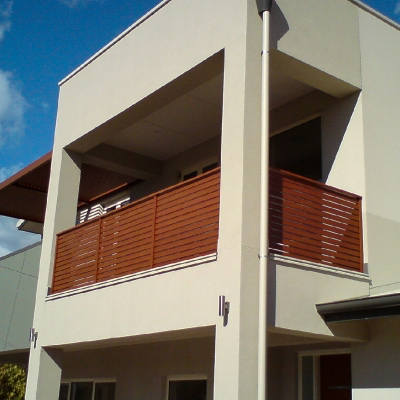 They are both made by SunCircle and will keep this house much cooler during those hot summer days. 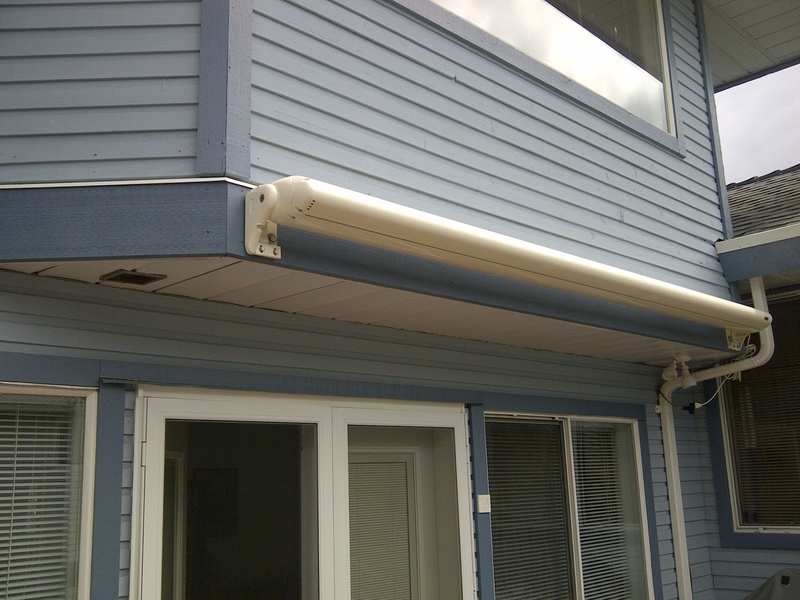 At this beautiful oceanside patio we installed 3 full cassette motorized awnings. 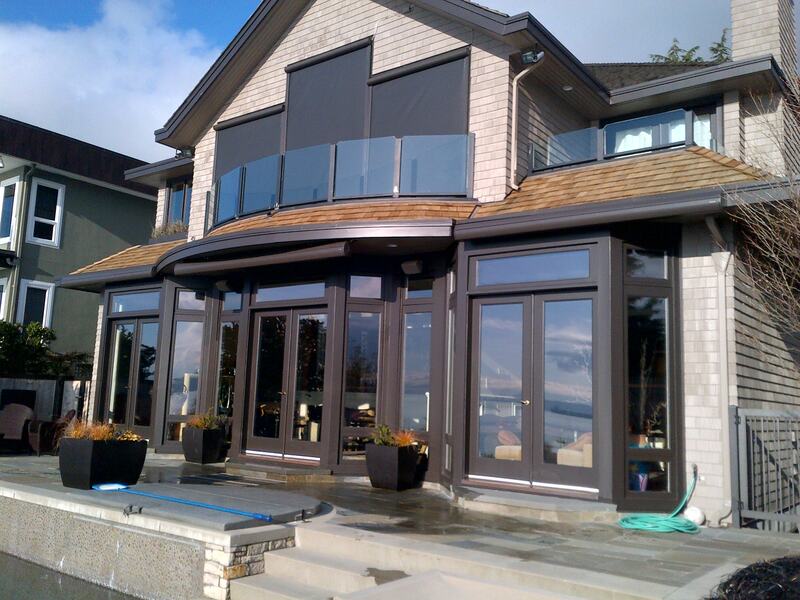 The awning was custom powder coated to match the existing exterior of the house. All three work on a wind and sun sensor as well which allows maximum use with minimum need for attention. 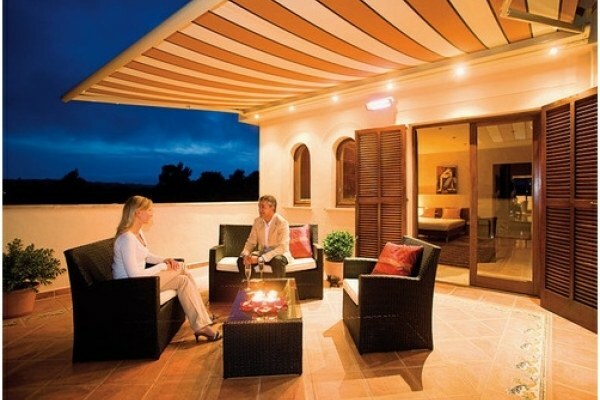 At Mr Cover All we strive to provide you with the exact color match for your patio. With our large collection of Dickson fabrics we are able to satisfy everyone.